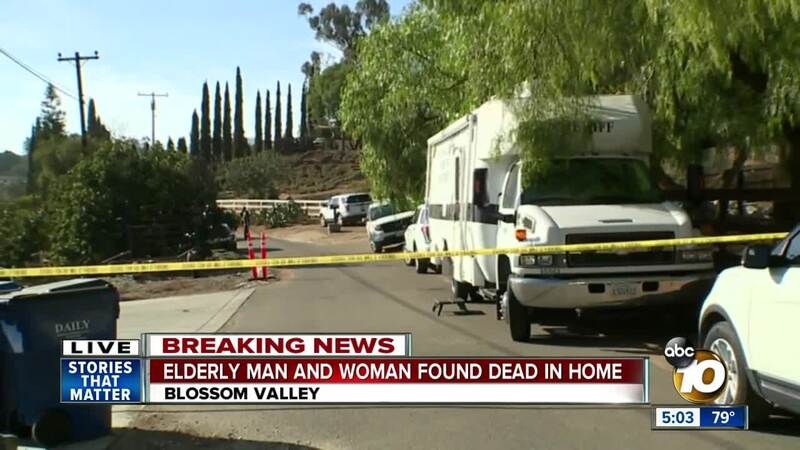 EL CAJON, Calif. (KGTV) - San Diego County Sheriff’s deputies are investigating a report of two bodies found at a home in unincorporated El Cajon. A preliminary report indicates Alpine Sheriff’s deputies responding to a 911 call found the bodies of an elderly man and woman inside a home on Toya Lane about 8 a.m. The home is near Blossom Valley Elementary School. The couple’s in-home caregiver found the couple, deputies said. Both victims had traumatic injuries, the early investigation showed. 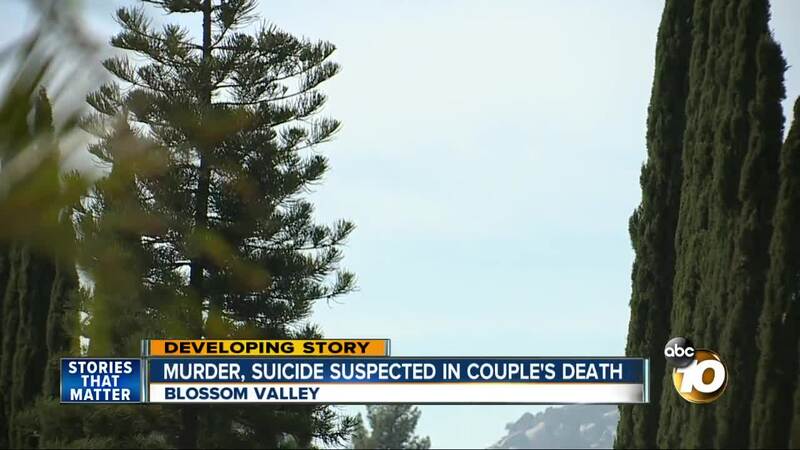 The Sheriff’s department did not identify the victims or the causes of their deaths. Investigators say they are not looking for any suspects as they believe it may be a murder, suicide.